We are well established manufacturer & supplier of Rotary Shaking Incubator. These are manufactured by our skilled professionals. These are highly appreciated by our valuable clients. These are manufactured by using high quality materials. 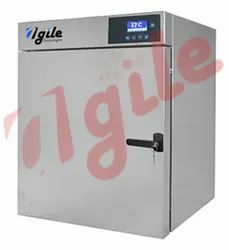 we are manufacturer Innovative incubator shaker design allowing unattended operation in a temperature-controlled environment in india. 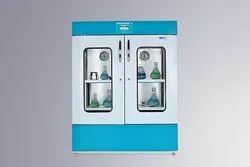 Its designed for shaking culture techniques and other Bio-Chemical, Biological and chemical reaction which proceed with greater speed and repeatability when subjected to mechanical agitation at constant temperature.